On Day 2 of the #HolidayCraftParty with Weekend Craft, we are sharing Christmas gift tags! I started paper scrapbooking 11 years ago so you can imagine the amount of scrapbook paper scraps I have. I store the scraps in folders and always look for ways to use them. When I had the idea for these Christmas gift tags, I knew using paper scraps would be perfect! There are four different tags featuring a star, Christmas tree, round ornament and gingerbread man. 1. Download my free Christmas Tags cut file for Silhouette Studio. This file is only for your personal use. I cut the small rectangles of scrapbook paper with my paper trimmer but I also included rectangles of that size in the cut file. 2. 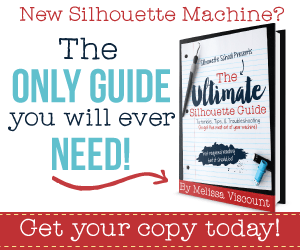 Use the Silhouette machine, mat and white cardstock to print and cut the tags. Here are detailed print and cut directions for Silhouette Studio version 2. Open my Christmas Tags cut file in Silhouette Studio (SS). Remove the tags from the Silhouette mat. 3. Pick one tag. Add paper adhesive to the back of a piece of of 2 inch tall by 1.75 inch wide piece of scrapbook paper. Hold it underneath the opening in the tag and line it up as desired. Fold the other side of the tag down and press down on the scrapbook paper. The scrapbook paper should now be adhered to the inside of the to/from part of the tag. 4. Add adhesive to the inside of the cutout part of the tag. Then fold the tag and press the two different sides together to seal the adhesive. 5. Repeat steps 3 and 4 for each tag. You can see Weekend Craft’s fun gift tags made out of paint chips on her blog. Weekend Craft and I are giving away a $25 gift card to Michaels. Enter by filling out the Rafflecopter below through Monday, November 24, 2014 at 11:59 pm EST. Open to U.S. residents only. Come back tomorrow for our last day of the #HolidayCraftParty and a holiday craft link party! Do your designs come in SVG? 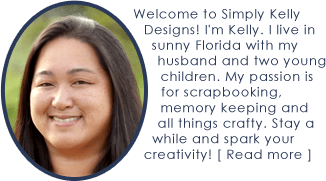 I have a Cricut Explore 2 and would love to use your adorable designs! I’d like to learn how to download into Cricut’s Design Space. Hi Maureen. I do not have these in SVG format. Thank you, my Silhouette Portrait is on its way. These look like a great first project. I LOVE YOUR WORK :)! I don’t scrapbook and I am not very computer savvy but I LOVE you Christmas tags! They are perfect! Do you ever sell them? Thank you. I don’t make these tags to sell. Thank you so much, I just love them. I can’t wait to get my Silhouette (my birthday gift) so I can make these for Christmas. Does this work only with the silhouette or can I cut them on my cricut? I love this file! I used the scraps from my gift wrap so they match the packages! That’s genius Barbara! I’m glad that you used the file. I love the simplicity of these tags….they’re just adorable! Thanks for the free cut file too! These are so classic & gorgeous. Thanks for sharing the free cut file. Another awesome file! Thanks, Kelly!! I’m running low on paper supplies and ribbon so I would use the card for those items. Love these cute tags! Thank ayou so much for the cutting file! What cute idea, Kelly! These are super cute! I have a ton of scraps! Can’t wait to get home and download your file.